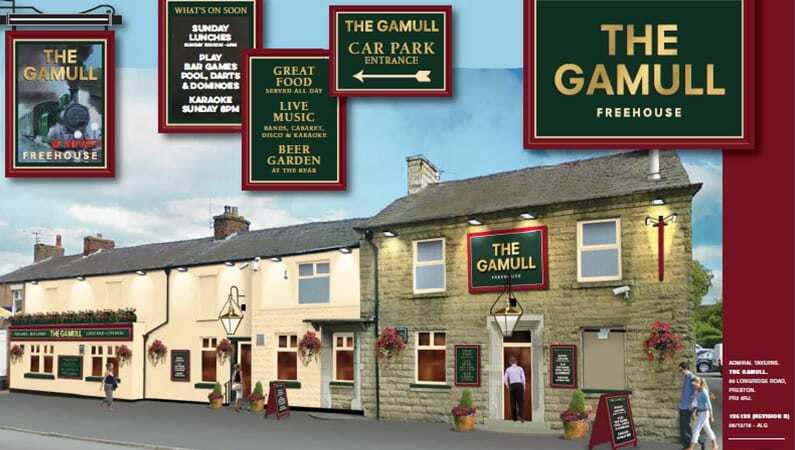 The Gamull is situated on the busy Longridge Road, two miles from the centre of Preston. 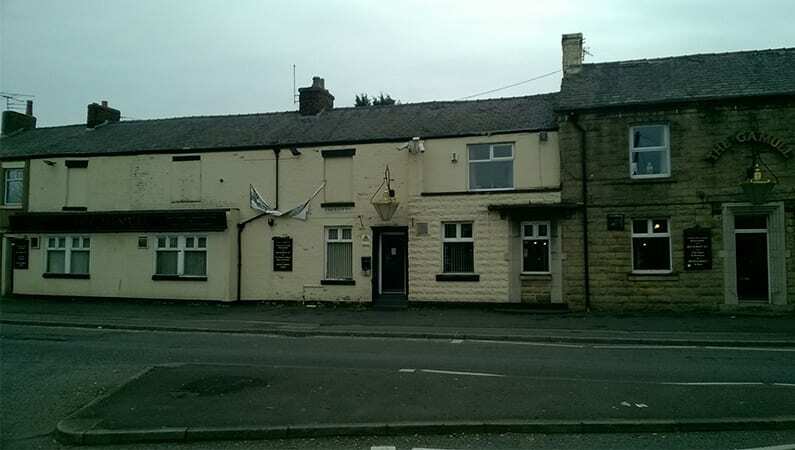 The pub is surrounded by plenty of houses, shops and other businesses. It is located on the main bus routes into the city centre and is also within easy access to the M6 motorway. 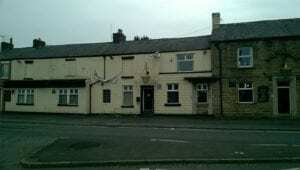 The pub has three entrances and the main entrance is through the car park to the side of the pub. 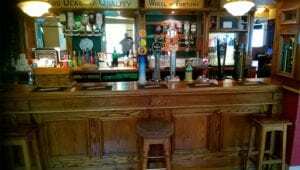 On entering through this area, the bar servery is located centrally. There are two pool tables and two darts okkes with a raised area that can be used for weekend entertainment. The catering kitchen which is partially equipped is located to the left-hand side of the pub next to the ground floor cellar. The ladies and gents’ toilets are located to the right side of the pub. Externally, there is parking for up to eight cars however it is a shared car park. There is also a reasonable sized patio area with benches and this area could be developed further along with the small lawned area to the rear of the car park. 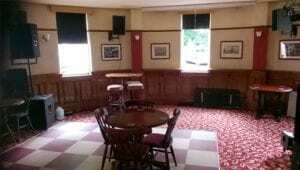 The pub needs re-decoration internally and this will form part of the planned refurbishment. 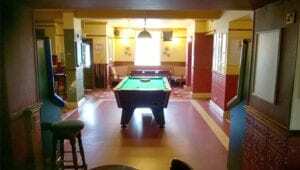 The pub has a loyal customer base and is very sports driven with lots of potential to introduce pool and darts teams as this has been very popular in the past. There is also scope to develop the business further by catering to the wider community offering weekly quiz nights and weekend events. 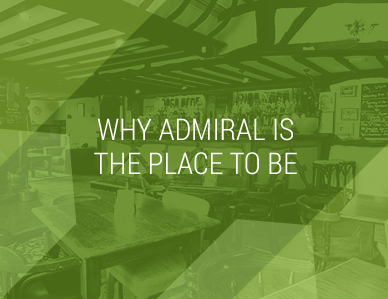 Food has previously been offered however the ingoing licensee will need to re-launch this, offering a value for money menu, with the support of Admiral Taverns Catering Executive. It is also aimed to develop the entertainment offered on site in line with the live sports via the big screen TVs. The private accommodation is located on the first floor and consists of three bedrooms, lounge, kitchen, office and bathroom with toilet, all of which are in reasonable order. 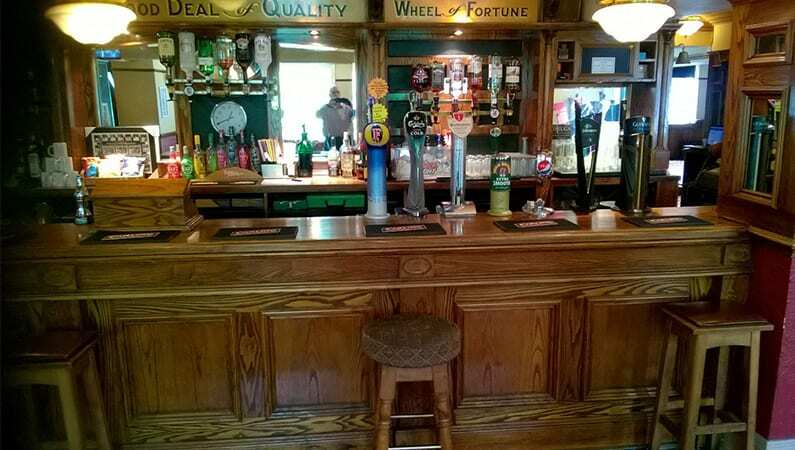 We want to invest in this fantastic community pub, once a suitable operator has been recruited. The refurbishment will include exterior signage and redecoration as well as interior decorating.  We are looking for an aspirational, experienced operator (or couple) who have the passion, drive and who are determined to make this pub the first-choice venue in the area.  They will currently be active within the local community and experienced with the drive to re-launch the food offer, promote the excellent range of cask ales and develop an inhouse activity and entertainment programme.